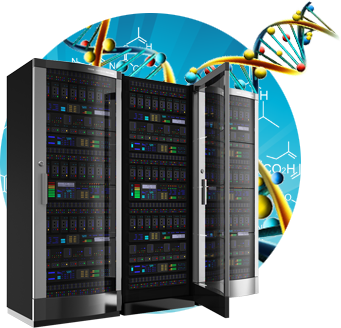 CloudDOE is a software package with user-friendly graphic interface to deploy, operate and extend a MapReduce-based bioinformatics environment, which is denoted as the CloudDOE Cloud *. CloudDOE is developed in Java and distributed under Apache License 2.0. It consists of three wizards, i.e., Deploy, Operate, and Extend wizards. The Deploy wizard is a tool designed to aid a system administrator to deploy a Hadoop MapReduce computing framework. It installs JRE 1.6 and Hadoop version 0.20.203 and starts the Hadoop services automatically. The administrator only needs to give information to access the cluster nodes, i.e., IP and account/password to access each node of the cluster. The Operate wizard allows a user to click and run a MapReduced-based bioinformatics application on the dashboard. To extend the list of functions on the dashboard, the administrator may install a new MapReduced-based bioinformatics application and register the application with CloudDOE using the Extend wizard. * A CloudDOE Cloud consists of a Hadoop MapReduce computing framework and specific bioinformatics data analysis tools including CloudBurst, CloudBrush, and CloudRS. © 2013, Institute of Information Science, Academic Sinica. All rights reserved.